Expert Review of Tot Tutors Book Rack by Tot Tutors, one of our picks of the top Jewish books for kids! 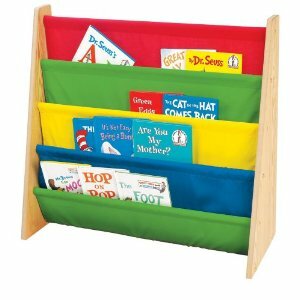 This sturdy wood bookrack can hold many books in a neat and organized way. Children will love to read and return their books to the colorful nylon fabric pockets. Goldy says: "It's hard to get kids to put books away. This will encourage them to get in the habit from a young age."